In Chapter 3 of II Timothy we’re told that in the last days times would be very harsh, savage, difficult, dangerous, and hard to deal with. It lists a multitude of vices that would abound: men would be lovers of themselves, lovers of money, disobedient to parents, unthankful, unholy, without self-control, and the list goes on. It’s an age of exploding information. 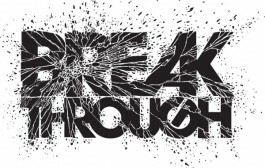 One of the problems that is occurring within the Body of Christ living in an age of “Information Explosion” is that we tend to move away from “Foundational Truths”, or the basics. When we get away from the basics we become much like the environment we’re in, we become self-centered, have an outward pretense (having a form of Godliness but denying the power of God), and give place to unnatural perversions. 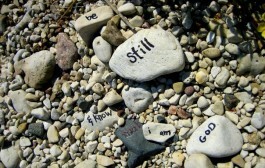 We develop the mindset that the collection of information equates to revelation from the Spirit of God! Believers are to live by the written and the revealed Word of God by the Holy Spirit. Whatever we have carefully followed is a result of what we have learned and have become assured of over the years. These are the things that we have meditated on, repeatedly spoken out of our mouths, and we have acted upon habitually, until they have become “second nature” to us. As children of God we are to learn the basic teachings of Christianity. Whenever we depart from the basics, everything else in life has the potential to become a struggle, because there’s no rock-solid support from God’s Word to uphold our choices. That man operates in the Law of “Seed-Time and Harvest”. Once these three (3) foundational principles were spoken out of the mouth of Almighty God they became eternal and unchanging! They apply to whoever will believe them, receive them, and do them. There are some devils that are great teachers, this is why the scripture admonishes us to avoid the doctrines of devils. Receiving these erroneous instructions will establish a person in a mindset that will surely lead them and those they influence to destruction. God is committed to conforming in each of us the character and characteristics of His Son Jesus Christ. We were born to fulfill God’s Kingdom purpose in the earth. If we don’t discover this, we’re subject to spend our entire life fulfilling a purpose that has nothing to do with God’s Kingdom. God and His Word are one, therefore we must develop an unshakable trust and confidence in His Word, that whatever He has promised will surely be performed. Longsuffering is patience that has grown up. Patience is like a muscle – it is present with us from the start, but it has to be developed. Its development comes when we exercise it in the face of pressure. We are born of Love Himself, and carry His DNA. We must become proficiently developed in the Love of Christ. This keeps us focused on His Lordship, and enables us to see all of life from His Divine perspective. This is what’s required to build in us the capacity to continue to bear up under difficult circumstances – not with a passive complacent attitude, but with a hopeful fortitude that actively resists becoming weary in your mind and giving in to defeat. When we develop a personal prayer life – this is where you allow the Lord Jesus to address and deal with the issues of your heart that have been “governing” your life – we can receive and carry out His Divine Will for our life. A pure heart comes as a result of an effective personal prayer life. It is the leading indicator of having truly surrendered your whole heart to Him in prayer. The fruit of the New Covenant Life in Christ, or the fruit of Death are manifested in your life based on the words that continually come out of your mouth. This is learning to “stand in the gap” on behalf of someone else and their situation, holding fast to and declaring the Covenant Promises and Benefits by faith in His Word. He is our Senior Partner and the One who leads us into and teaches us ALL THINGS pertaining to our son-ship in the Kingdom of God and His Christ. Having a clear understanding of the Grace of God will cause us to trust in the “Finished Work” of Christ Jesus, and not in our ability to try to keep the Old Testament Law – which if you break one you’re guilty of all! Christ has already accomplished everything through His Death, Burial, and Resurrection. Because of your love for Christ and knowledge of His Redemptive work of Grace, we must share this with everyone we meet. 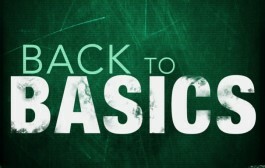 Getting away from the “Basics” will cause many casualties in this spiritual war that we’re engaged in. Also, it will give away your strategic position, disrupt the “Strategy” of God, and open up doors of access for devils to come in and out of your life, and in and out of the camp. 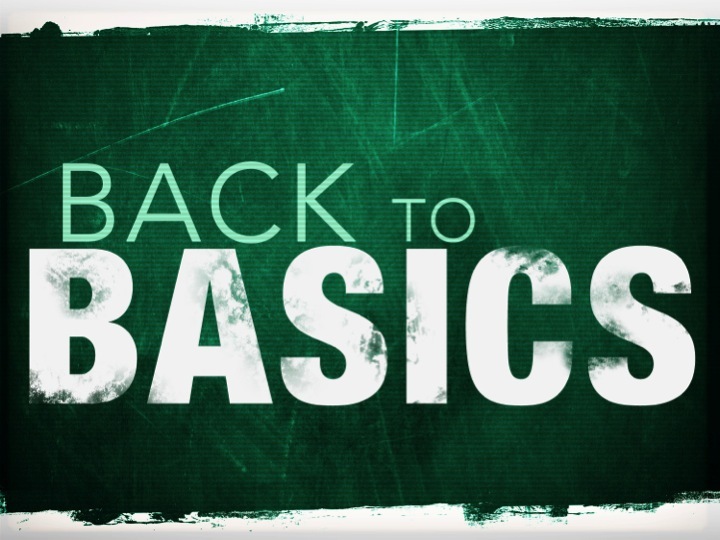 Make an assessment of your life, and….. GET BACK TO THE BASICS! Apostle C. S. Banks D.D.